Mods: tubeless, Forte CR720 Carbon handlebar, Sworks CG-R carbon seatpost, Specialized (heavy but comfy) gel saddle, Lizard skins lock on grips, Fyxation sealed thin platform pedals. My changes were done 100% for comfort so a weight weenie could easily get this bike down to a very light road bike weight. The color is a very bright neon day glow red/orange that pictures just cannot capture like how a sunset always looks much more vivid in real life. It's going for it's first shakedown ride in two days. Last edited by LittleBuddy; 06-20-2015 at 10:50 AM. I think I'd really like a Crave. Excellent, and great weight for a "comfort" build. I took the seat post and saddle straight from my Roubaix road bike. I've ridden that combo for a year and a half with perfect comfort. 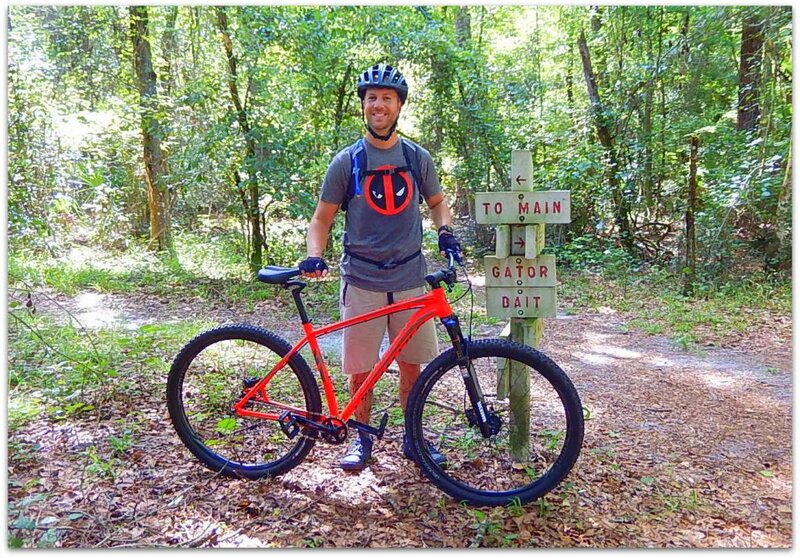 I know the seat post looks goofy but it has a half inch of vertical compliance without being bouncy like the Thudbuster and without the extra weight. Last edited by LittleBuddy; 06-20-2015 at 10:55 AM. Post ride: The bike has perfect stock gearing for climbs and technical areas without spinning out too badly on fire roads. The bike rode expectedly stiff but compliant. 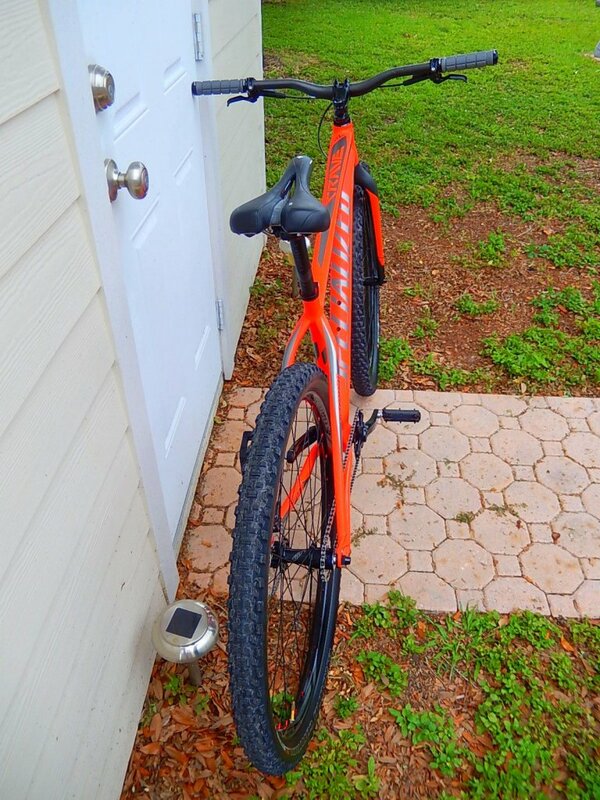 I have my tires set at 22psi and may lower them to 20psi my next ride. I did a fast 15 mile loop and didn't feel too beat up afterwards. 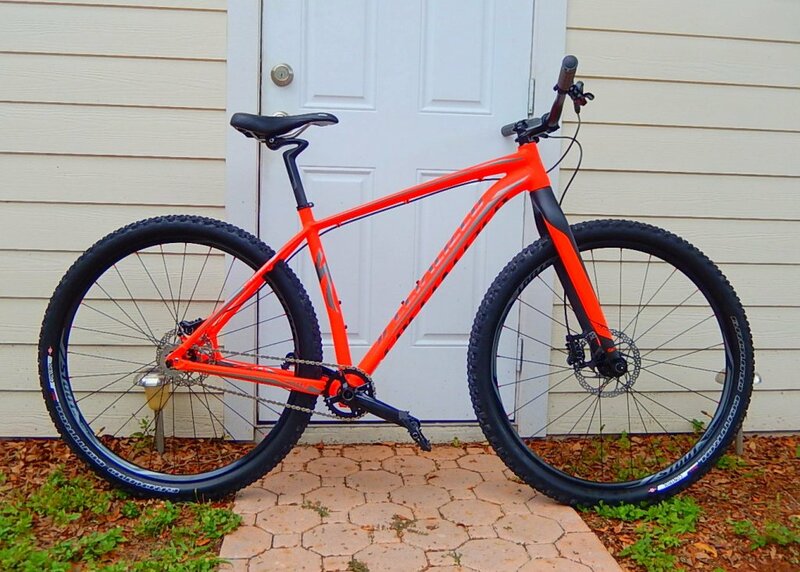 I haven't mountain biked in a year and my last bike was a full squish carbon XO1 Epic. This bike is 1/3 as expensive and feels faster. The single speed feels natural as I raced BMX as a kid but the rigid fork on bumpy stuff will take some getting used to and if I don't I will just get a suspension fork. Overall it looks and feels like a much nicer than $1K bike. It allows for a bit more flex. 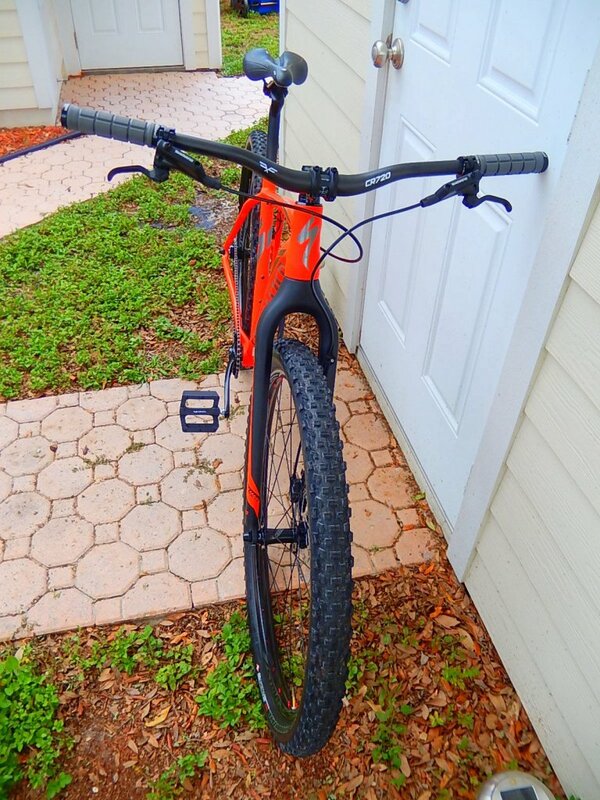 I added a Reba fork to help my old body take the bumps easier so if anyone in Tampa Bay wants the full carbon fork it's up for grabs. I will gladly take a weight penalty for comfort. lol....I sit for maybe 3 minutes a ride on my ss, The rest is standing. Did anyone else here have issues with the serial number decals or QR decals being under the matte clear coat? My QR one came off by the bottom bracket and left me a shiny square of bright orange paint that looks out of place. 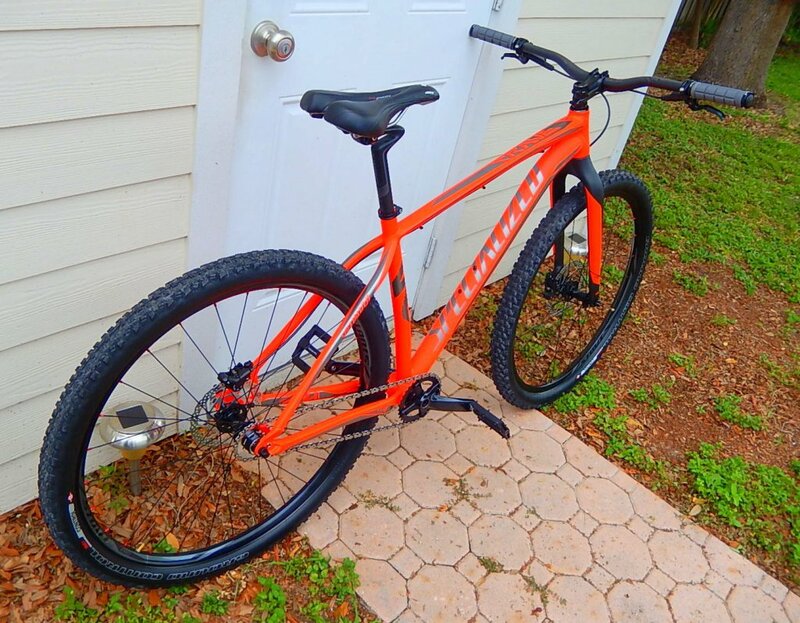 I'm down in Boca and just bought this bike and have been thinking about adding a 100mm Reba to it. 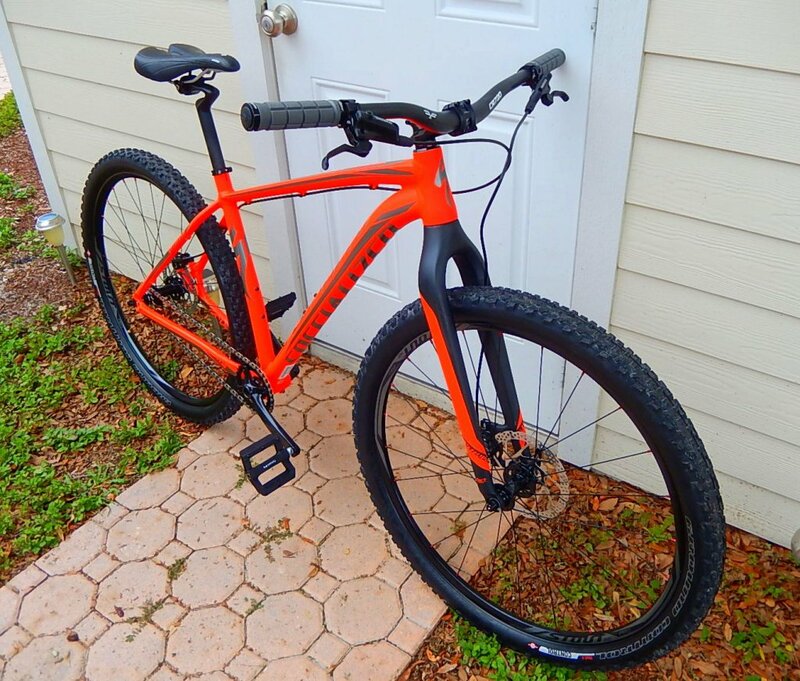 Long-term, how has it been on the bike? Done any other upgrades? gearing? I love the look and design of the Crave. 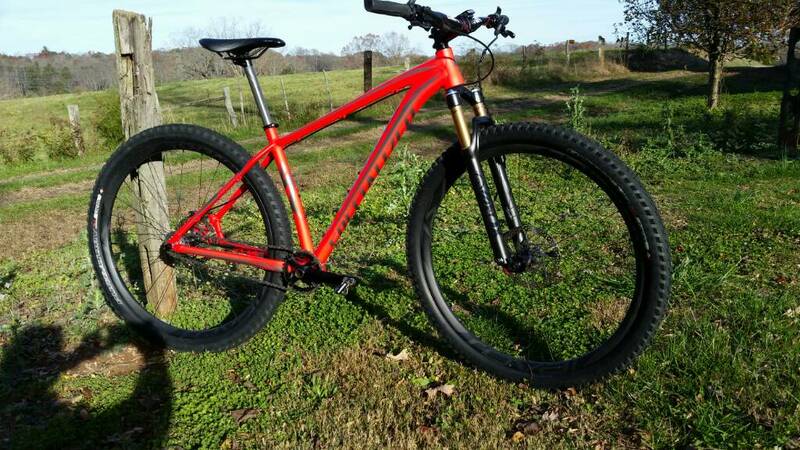 I almost bought one when I worked at a shop that sold Specialized... then I rode one. Kudos to all you dudes who ride these things, it felt like a wood plank to me and about beat me half to death. Ill stick with steel on skinny tires and ride aluminum with suspension or fat tires. Dude. 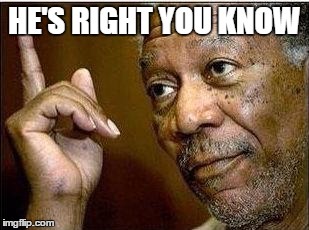 Don't give away your rigid carbon fork!! Put it back on and give it a go. Might take a week or two to get used to, however you will love it - it's what makes a light and nimble SS special. And one of the main selling points of the Crave SL. It's pretty much perfect out of the box - for what you get anyway. 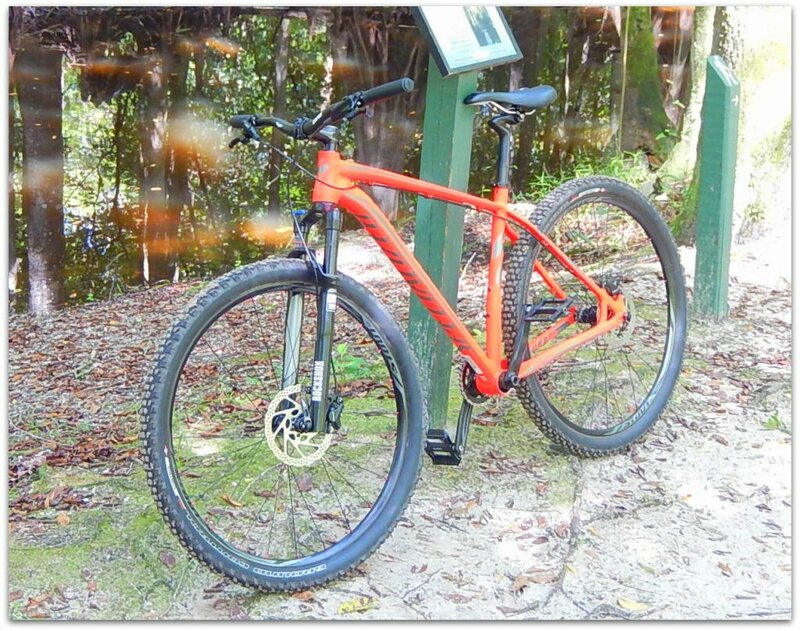 This is probably very biased, but I find that the flow on trails is enhanced by a rigid fork. Suspension takes away that special Single Speed bliss - for me atleast. For super knarly riding hands start to hurt and suspension is needed, however try swopping between them. 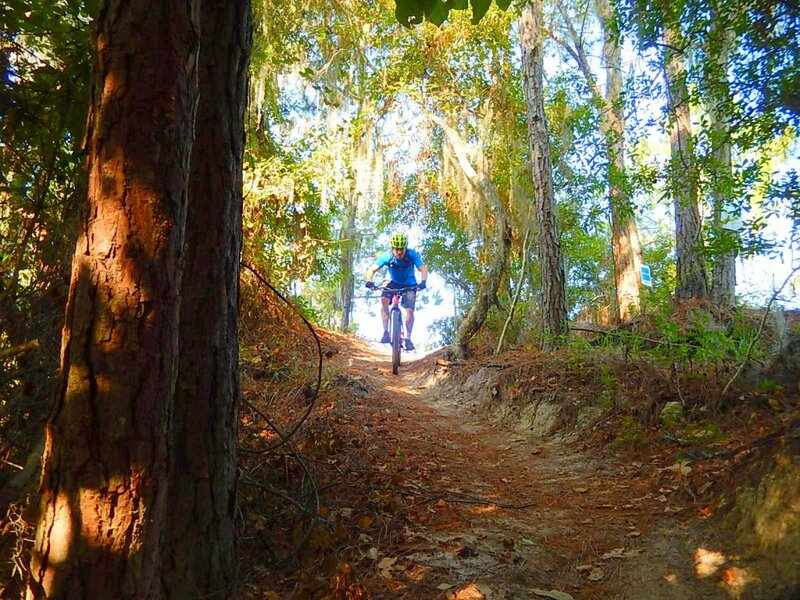 Rigid will make you a more confident rider and better at line choice. There is a Crave now cheap on Craig's -List Tampa! 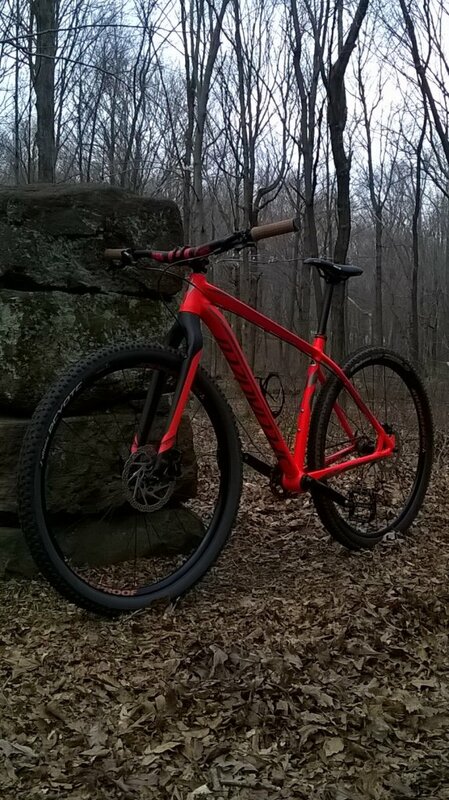 How are you liking the new Reba fork? Was it easy to install? Anything needed for the install? I really love my SL, but want to add fork pretty soon. Might have a line on a DVO 120mm that is coming out soon. Thanks. Needed a crown race and cut it to length. It's an awesome fork for the money. I added 2 more bottomless tokens( came with 2 inside stock) this makes the fork very plush even on tiny bumps but won't bottom out -have it at 100psi. I'm probably 200lbs with camelback full of everything. The stock carbon fork was nice but just too harsh on technical stuff and frequent rooty bumps where I ride. 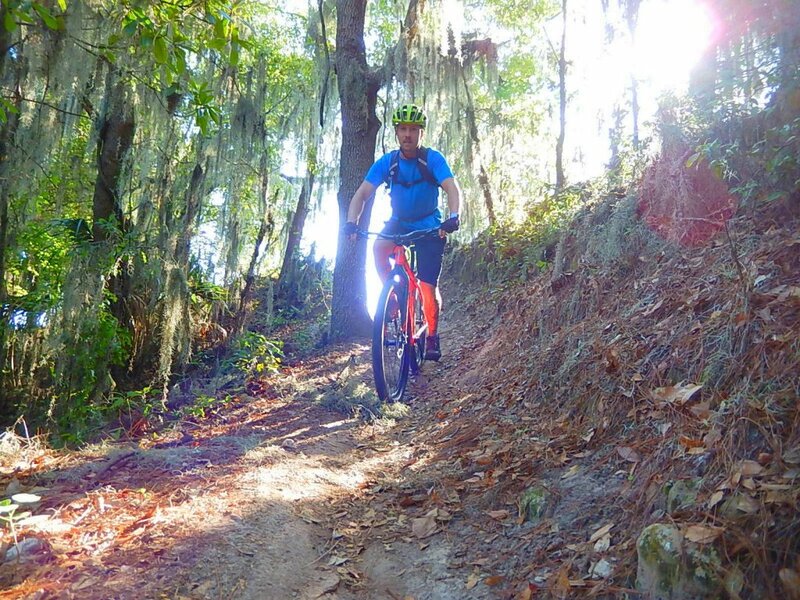 a 29+ front tire would take the sting out of roots and still allow you to keep the nice feel of the rigid fork. 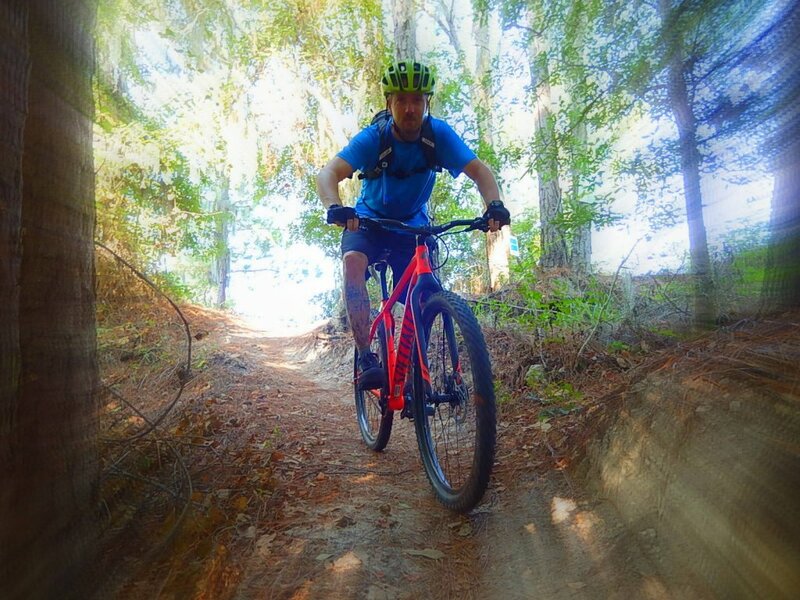 as all the rigid proponents have said; riding rigid takes some time as you need develop better technique to keep your hands from getting so beat up. you need to loosen your grip when bouncing around and play with different hand positions between the technical sections to keep the hands feeling good. if you stick with it learning good rigid skills is totally worthwhile. 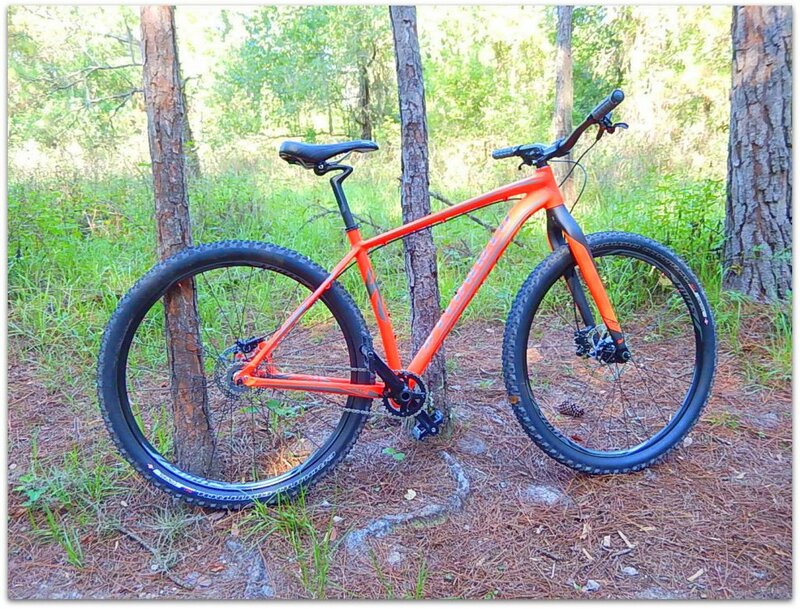 I am considering purchasing a 2016 Crave SL 29 & saw that you added a set of fattie wheels on yours. What size tires do you run? Did you add Roval wheels? 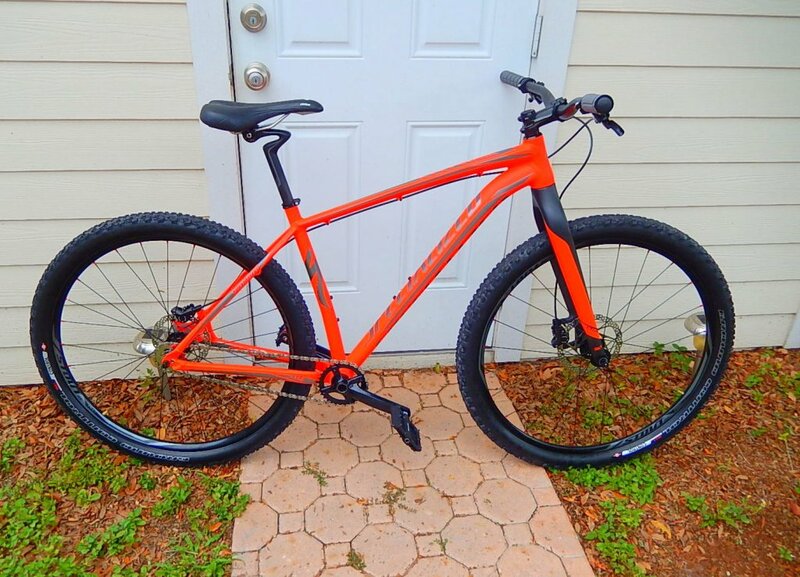 If so, which set fit this bike? Thank you! Thanks for the quick reply. Does a 29x2.3 fit in the rear? I am thinking of trying it out with 2.3 in both front & rear to provide more air volume & soften up the ride a bit. Thanks again for your insight....I'll let you know how I make out. just curious is that rigid fork still up for grabs? 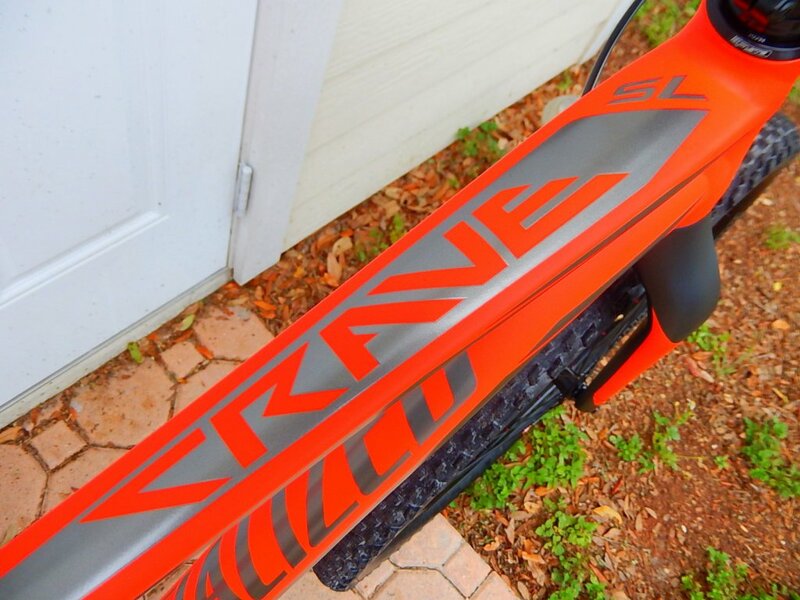 Specialized Crave 2015 - Which fork to use?